Named for Edinburgh educated medical doctor, Thomas Addison who first identified changes in skin pigmentation in patients with a peculiar form of “anaemia”, Addison’s disease is a serious form of adrenal insufficiency. Marked by extreme fatigue, gastrointestinal disturbances and rapid weight loss, the condition (though completely treatable) can be fatal without proper medical intervention. What is Adrenal Insufficiency or Addison’s disease? Adrenal insufficiency is diagnosed when the adrenal glands, located just above the kidneys fail to produce enough of particular hormones necessary for the body to function properly. Addison’s disease is one type of adrenal insufficiency. Adrenal insufficiency occurs when the adrenal glands cannot make enough of the hormones cortisol or aldosterone. Depending on the cause of decreased hormone production, adrenal insufficiency can either be diagnosed as primary adrenal insufficiency, secondary adrenal insufficiency, or tertiary adrenal insufficiency. A primary, secondary, or tertiary designation directly relates to where the breakdown originates in the body that ultimately causes insufficient adrenal activity. Primary adrenal insufficiency occurs when the adrenal glands themselves become damaged in some way. This impairs their ability to produce the proper amount of hormones necessary to keep the body working efficiently. The lack of cortisol affects regulation of certain important actions including infection fighting, weight control and heart function. Cortisol is needed for skin and bone health as well. Deficiencies in aldosterone can cause low blood pressure, dizziness, heart palpitations and high pulse rate. High potassium and low sodium are also hallmarks of low aldosterone production. Primary adrenal insufficiency is known as Addison’s disease. Secondary adrenal insufficiency has its origin in the pituitary gland located at the base of the brain. The pituitary gland normally produces a hormone known as adrenocorticotropic (ACTH). Its job is to stimulate the adrenal glands into producing cortisol. If the pituitary gland fails to produce enough ACTH, the correct amount of cortisol cannot be produced by the adrenal glands. If adrenal insufficiency is caused for this reason, the adrenal glands may shrink and stop producing cortisol altogether. Tertiary adrenal insufficiency originates in the hypothalamus, located close to the pituitary gland in the brain. One of its functions is to produce corticotropin-releasing hormone (CRH). This hormone stimulates the pituitary gland into making ACTH. Without ACTH communication is lost between the pituitary and the adrenals and cortisol production is insufficient. Addison’s disease (primary adrenal insufficiency) is rare in developed countries, affecting approximately 140 individuals per million. Secondary adrenal insufficiency is slightly more common however, affecting about 150 to 280 people per million. What symptoms indicate Adrenal Insufficiency and Addison’s disease? Do I have to have all of the symptoms of Adrenal Insufficiency or Addison’s disease to have the condition? No. A diagnosis of either, primary adrenal insufficiency (Addison’s disease), secondary adrenal insufficiency, or tertiary adrenal insufficiency does not require the presence of all symptoms related to the condition. Depending on the severity of the disease, some individuals may suffer fewer symptoms than others. Additional symptoms may also include hypoglycemia, menstrual period irregularities, mood swings, muscle weakness, confusion, and in severe cases, loss of consciousness. Symptoms may develop quickly, or can slowly progress over a period of years. How do I know if I have Addison’s disease? Addison’s disease is diagnosed through a series of medical tests in addition to a thorough review of family history involving other endocrine disorders. What type of doctor should I see for Adrenal Insufficiency or Addison’s disease? A primary care doctor can conduct a physical examination to check for observable symptoms of adrenal insufficiency. To confirm any suspicion of adrenal failure, whether primary, secondary, or tertiary, specific blood tests will be ordered by the physician. If adrenal insufficiency is identified, the primary care physician will generally refer a patient to an endocrinologist or a hormone specialist. If I am diagnosed with Adrenal Insufficiency or Addison’s disease, how will it be treated? Physicians treat patients with endocrine disorders based on a number of factors. These include the age of the patient, the severity of the condition, specific symptoms, and whether or not other medical conditions are present. The overall goal with treatment is to ensure the body has the necessary hormones for optimal function. In the case of adrenal insufficiency or Addison’s disease, those include the hormones, cortisol, and aldosterone. Generally, treatment includes one or more medications including corticosteroids to replace cortisol. These may be taken orally, or intravenously. Patients may also need to take fludrocortisones to balance sodium and potassium levels. What medication is used to treat AI? Adrenal insufficiency can be treated with a number of drugs including hydrocortisone, dexamethasone, or prednisone. These take the place of naturally produced cortisol and must be taken at prescribed intervals to ensure hormone levels remain balanced. 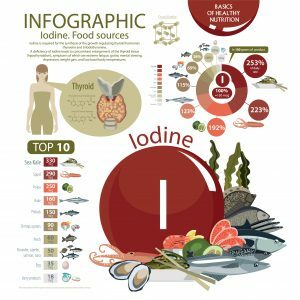 If the hormone aldosterone is also under produced by the adrenals, the body will need fludrocortisone to help maintain proper levels of sodium and fluids. 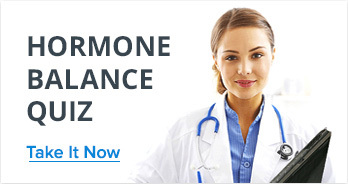 What are the side effects of hormone replacement drugs? Patients can develop other hormone related conditions such as Cushing’s disease if hydrocortisone is not dosed correctly (especially if the dosage is too high). Much like other hormone disorders, Addison’s disease cannot be completely cured. It can however, be successfully managed through both pharmaceutical and natural means. What can I do to minimize the effects of Adrenal Insufficiency? Lifestyle changes involving diet and nutrition have been proven to help individuals suffering with adrenal insufficiency or Addison’s disease. If low levels of aldosterone exist, a licensed dietician may recommend a diet high in sodium. Individuals who take corticosteroids are also at risk for osteoporosis. Supplementing the diet with calcium and vitamin D can help protect bone health significantly. Who is at risk for developing Adrenal Insufficiency and Addison’s disease, what are the causes? In terms of demographics, middle-aged women are at the highest risk for developing adrenal insufficiency. Children can also develop the disease, but it is most common in adults from age 30-50. Much of the time, adrenal insufficiency and Addison’s disease are caused by an autoimmune condition or infection that attacks the adrenal glands, damaging their ability to produce adequate amounts of the hormones cortisol and aldosterone. Tuberculosis accounts for about 20% of the cases found in developed countries, though this is rare in the United States. Historically, TB was found in about 70%-90% of cases worldwide, though in some regions of the world it is still a major contributor to adrenal insufficiency. Individuals with weakened immune systems may be at higher risk for developing the condition and those who use certain antifungal medications and one type of general anesthesia known as “Etomidate”. In some cases, cancer cells within adrenal glands attack the organs, or sepsis may be responsible. Can I pass Addison’s disease to my children genetically? It is rare, but certain genetic disorders that cause adrenal glands to develop incorrectly do exist. 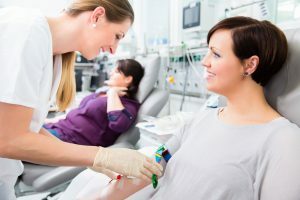 Other inherited autoimmune conditions affecting the thyroid, and type1 diabetes may also be present in patients diagnosed with adrenal insufficiency. If you suffer from some, or many of the associated symptoms of adrenal insufficiency it is critical to get tested for AI or Addison’s disease immediately. Prolonged adrenal failure and lack of necessary hormones can be serious, even life threatening. 1Cc.nih.gov. (2019). [online] Available at: https://www.cc.nih.gov/ccc/patient_education/pepubs/mngadrins.pdf [Accessed 29 Jan. 2019]. 2disease, A. (2019). 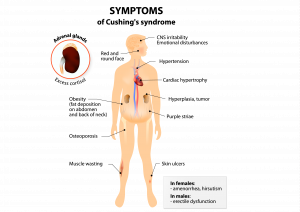 Addison disease: MedlinePlus Medical Encyclopedia. [online] Medlineplus.gov. Available at: https://medlineplus.gov/ency/article/000378.htm [Accessed 29 Jan. 2019]. 3Healthdirect.gov.au. (2019). Adrenal fatigue. [online] Available at: https://www.healthdirect.gov.au/adrenal-fatigue [Accessed 29 Jan. 2019]. 4Information, H., Diseases, E., Disease, A., Disease, A., Center, T. and Health, N. (2019). Adrenal Insufficiency & Addison’s Disease | NIDDK. [online] National Institute of Diabetes and Digestive and Kidney Diseases. Available at: https://www.niddk.nih.gov/health-information/endocrine-diseases/adrenal-insufficiency-addisons-disease [Accessed 29 Jan. 2019]. 5Pearce, J. (2019). Thomas Addison (1793-1860). [online] PubMed Central (PMC). Available at: https://www.ncbi.nlm.nih.gov/pmc/articles/PMC1079500/ [Accessed 29 Jan. 2019]. 6Pedclerk.bsd.uchicago.edu. (2019). Addison’s Disease | Pediatrics Clerkship | The University of Chicago. [online] Available at: https://pedclerk.bsd.uchicago.edu/page/addisons-disease [Accessed 29 Jan. 2019]. 7Reference, G. (2019). Autoimmune Addison disease. [online] Genetics Home Reference. Available at: https://ghr.nlm.nih.gov/condition/autoimmune-addison-disease [Accessed 29 Jan. 2019]. 8Rush University Medical Center. (2019). Adrenal Insufficiency | Medical Conditions | Rush University Medical Center. [online] Available at: https://www.rush.edu/services/conditions/adrenal-insufficiency [Accessed 29 Jan. 2019]. 9Urmc.rochester.edu. (2019). 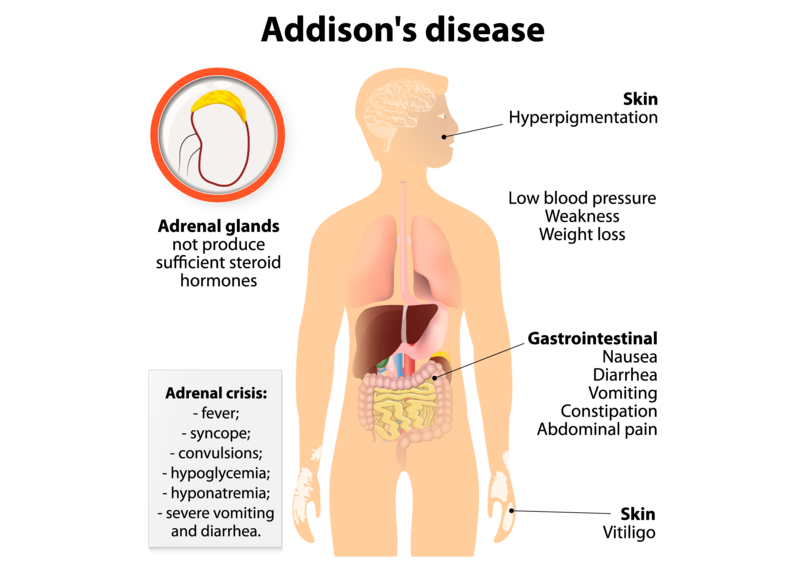 Adrenal Insufficiency (Addison Disease) – Health Encyclopedia – University of Rochester Medical Center. [online] Available at: https://www.urmc.rochester.edu/encyclopedia/content.aspx?ContentTypeID=85&ContentID=P00397 [Accessed 29 Jan. 2019].